In the Settings > Users section you can create and manage several types of users, depending on the people you wish to grant access to UTOPIA. The user that has created the domain is known as the owner, and is the only one with the ability to make purchases or destroy the domain. How do they differ and when should they be used? Domain users: there are two type of domain users. The administrator user can modify all data of all organizations, while the basic user has limited access to organizations, and cannot create other accounts. 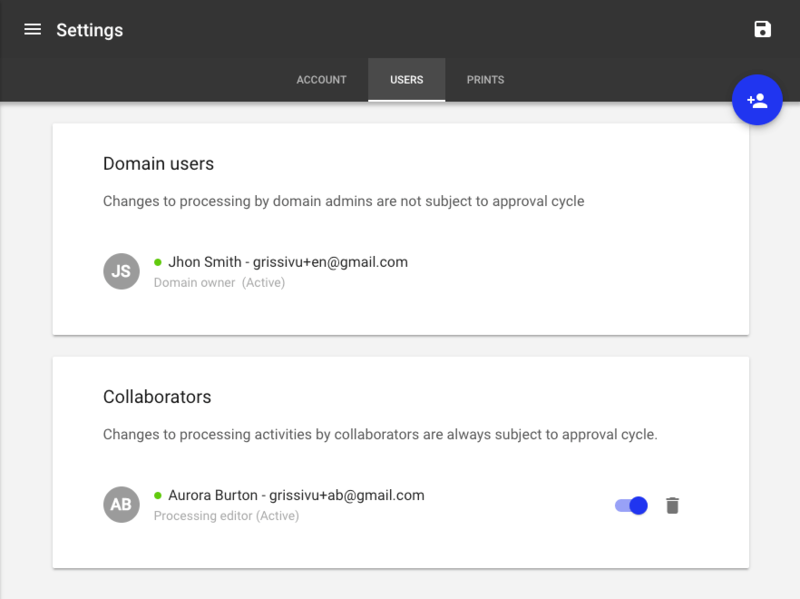 Collaborator users: the collaborator user can suggest changes to processing operations, which will all require the approval of the owner or admin user. To add a new user to your domain simply go to Settings > Users menu and use the (+) button to set an expiration date (if necessary) and, for basic or collaborator users, choose which organization they are enabled to see.